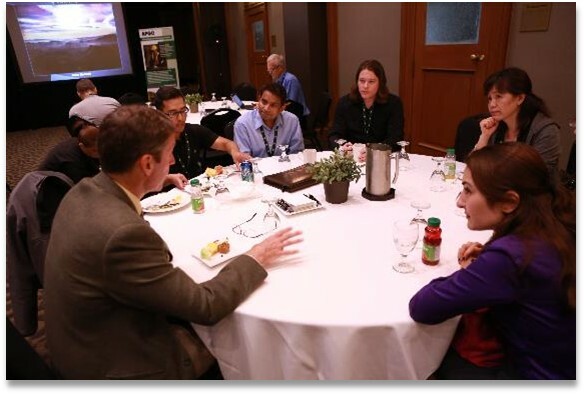 APGO's Mentoring Program is a benefit available to APGO members. It was developed to provide professional development and growth opportunities for members interested in becoming mentors or mentees. MENTORS: The opportunity to give back and make a difference in a mentee’s endeavour to carve a career in the geoscience field; the opportunity to contribute towards the promotion of the geoscience profession among young people; and the opportunity to exercise leadership and coaching skills by providing guidance, insights, and opportunities to brainstorm on different ideas and/or problem-solve. MENTEES: The opportunity to learn critical soft skills and career guidance from seasoned professionals and to avail themselves of important knowledge about the sector and grow their network of professionals in the field. For an FAQ about APGO’s Mentoring Program, please click on this document. To join APGO’s Mentoring Program as a mentor or a mentee, please contact Marilen Miguel at mmiguel@apgo.net or call 416 203-2746 ext. 24. How a Mentor Helped Me Achieve the P.Geo. Status by Amber Blackwell, P.Geo. APGO Mentoring Program: A Shared Responsibility by Patricia Meyer, P.Geo. The Importance of Following Through with Commitment by David M. Leng, P.Geo.